Created for a corporate party with Southern Garden Party theme. I created these cute invites. 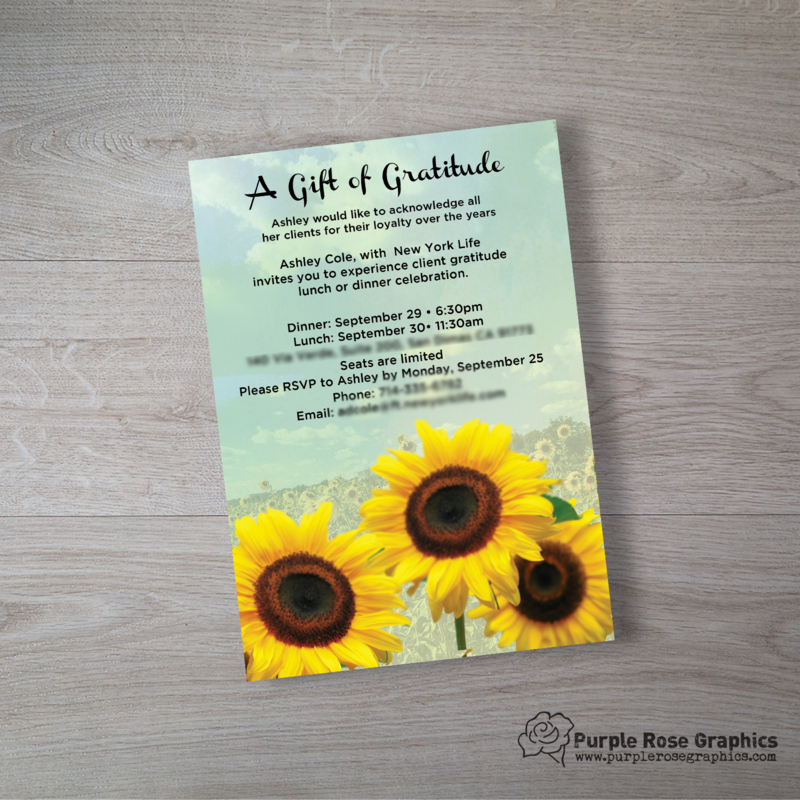 The client knew she wanted sunflowers on the invitation and she wanted it to be almost summery and happy to match the mood of the event. I created these invitation with giant sunflowers in front of a beautiful field to give it that summery vibe the client asked to achieve.